Contact - P3iD Technologies, Inc. If you need additional information about any of the P3iD solutions, please contact Sales. The P3iD team of technical support professionals, are ready when you need them. For all media inquiries, please email our Media and Public Relations department. Your feedback is very important in the P3iD pursuit of excellence. Please send us your requests, questions, comments or suggestions, by filling out the form below. Why are Secure Channel Services necessary? No one thinks they need security while things are going well, and then things go south, very quickly! By then it’s too late. Client trust vaporizes, legal action is looming, company equity begins to slide. NOW is the time to secure your network and document/data processes. P3iD applies state of the art technologies in concert with expertise, and proven methodology to drastically reduce the risks of a data breach. Where can I find helpful information online? What’s the difference between Cloud Services and Secure Channel Hybrid Services? Most business applications are hybrid and not 100% cloud and not 100% on-premise. Secure Channel Hybrid Services is a total secure channel that embraces the best of on-premise channels, as well as Cloud Services channels. For example, this means that organizations can be comforted with the peace of mind that their Active Directory authentication server can be controlled, and managed behind the corporate firewall, yet still utilize productive enhancing automation Cloud Services technology such as automatic data capture. What is P3iD's Blockchain expertise? P3iD Technologies has assembled great knowledge and skills in the emerging market of blockchain. We can easily identify suited, or not suitable, use case scenarios for blockchain that saves time and effort. The P3iD Blockchain team can then design, develop and deliver fully functional blockchain applications that deliver on the promise of what blockchain can offer as a distributed digital ledger technology. How do I get started with Secure Channel Services? There is but one way to truly appreciate the ease of use and amazing flexibility of P3iD Secure Channel Services; by trying it for yourself! Simply call us at 408-785-2005, 8am-5pm, Monday through Friday. 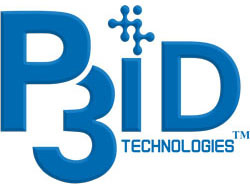 Or send us an e-mail at sales@p3idtech.com, and request information about Secure Channel Services. We’ll send you all the information necessary to get you started on the path to a more secure, efficient, and worry-free future. Content Management is necessary to provide many useful functions such as searchability, governance as well as enhanced productivity. First, with many people contributions and accessing content inside an organization, it is necessary to maintain a searchable database of all your content. Next, organizations must be able to apply classification, security rules or retention schedules to the content with a well-thought-out governance plan. And, lastly, simple and easy access to corporate data helps to drive productivity to a higher level.